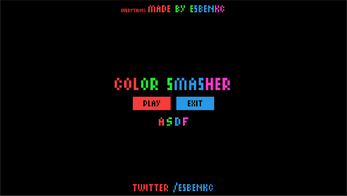 In Color Smasher, you have to defend your village from bombers. But not any bombers. COLOR BOMBERS. These mischievous bastards can only be stopped with lightsabers of their color! 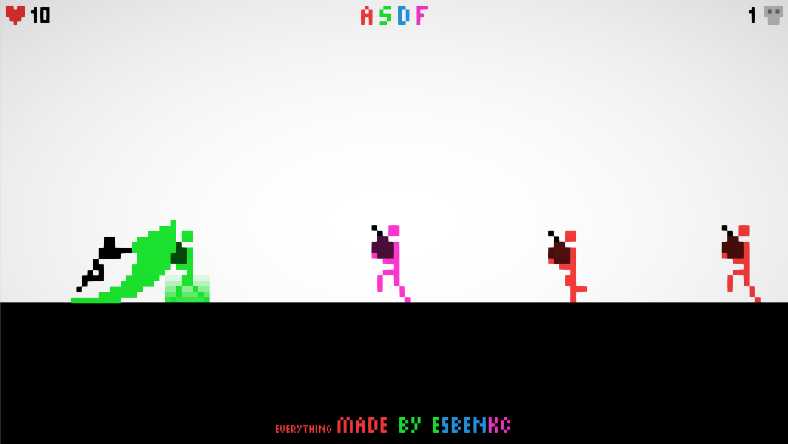 A small game made in 7.5 hours for the Pixel Weekend Jam #2. 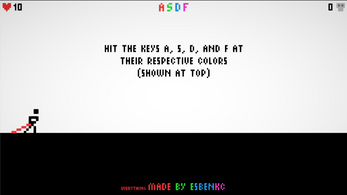 You wait for the enemies to enter your ZONE and smash 'em up using the keys A, S, D, and F. These correspond to a color shown at the top of the screen and can be used to defeat different colored enemies! 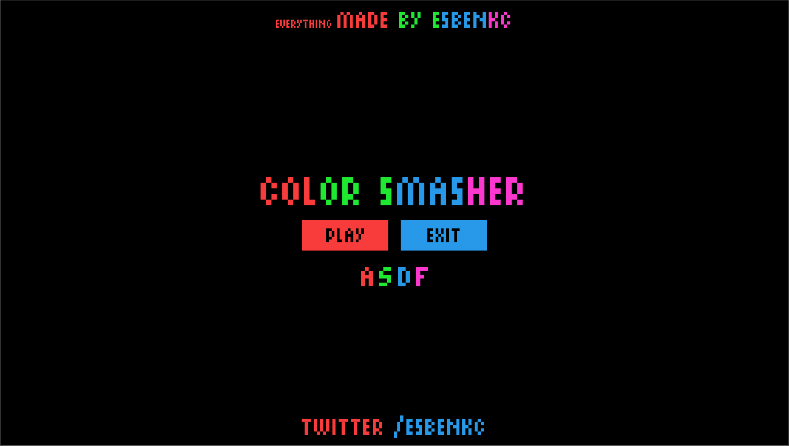 You can listen to the soundtrack here and you can follow me on twitter here.